Many people don’t know much about diabetes. People joke around and make fun of the disease. They think that only unhealthy people have it. But that’s untrue. There are two different types of diabetes: type one, and type two. Type two is common in older people or adults. In some cases you can get rid of type two diabetes with healthy eating and exercise. Then there’s type one diabetes. It has nothing to do with health. That’s where people get it wrong. Type one diabetes is an autoimmune disease that strikes both children and adults suddenly. There is nothing you can do to prevent it and, as of now, there is no cure. I have type one diabetes. The summer before seventh grade, I was on vacation. We were up in Wisconsin when I got sick. Really, really sick. My parents thought I had the stomach bug or maybe I was out in the sun too long. My stomach hurt, I had a fever, and I felt absolutely horrible. After I got better I still felt not quite right. I was always thirsty, having headaches and other symptoms of type one diabetes that my parents and I didn’t know about. Weeks later I was with my mom at one of my brother’s football practices. I told my mom I had not been feeling well and she said that we would stop by the doctor’s office that afternoon. Better to be safe than sorry, and thank God we did. The doctor had a feeling my blood sugar was high. He checked and it was 550 (The average glucose level is 100). My mom rushed me to the hospital. I remember being beyond scared and overall hysterical. They did blood tests and when the results came back, we found out I was a Type One Diabetic. There was nothing I could have done to prevent it. It was in my bloodstream when I was born and when I got sick somehow it came out. Many other people have stories like mine or were even diagnosed when they were babies. Some when they’re older. With type one diabetes, the pancreas cannot produce insulin. What is your pancreas? It is a gland between the stomach and the small intestine and its goal is to produce insulin. When you eat carbohydrates, your blood sugar begins to go up. Insulin prevents that. But with people with type one diabetes, like myself, our pancreas doesn’t produce insulin. 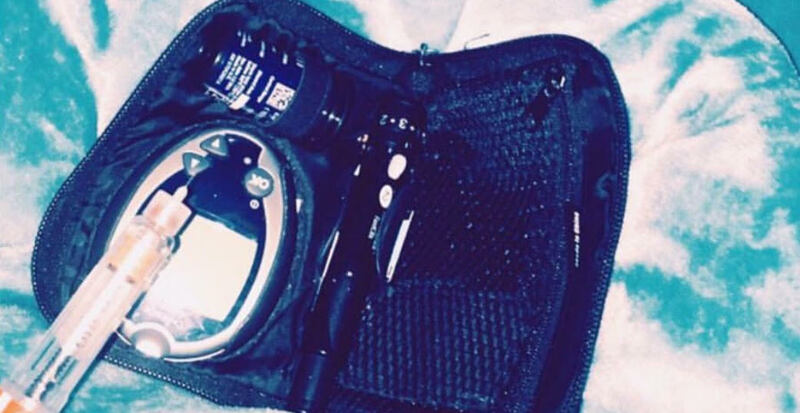 So we check our blood sugar, use monitors such as a dexome and most importantly, we have to administer our own insulin through a shot or a pump. And it’s not just an ounce-a-day thing. Most type one diabetics check their blood sugar around 12 times a day and if they’re not on a pump, they must administer an injection at every meal, or whenever our blood sugar gets too high, not to mention an injection every night. Yes, it can be a struggle, but you learn to live with it and it becomes a part of your everyday life because, unlike type 2 diabetes, type one doesn’t go away. That’s right, you have it your whole life. Foundations across the world are trying to find a cure and raise money for the disease “JDRF is the leading global organization funding type 1 diabetes (T1D) research.” They want to accomplish a world without type one diabetes, to prevent and treat type one diabetes and its complications. You can make an impact by donating to JDRF or other type one foundations such as the American Diabetes Association. There’s also different walks and other fundraisers you can participate in. One Response to What is Type One Diabetes? An astounding article! Thank you, Gabriella, for informing me about the severity of type one diabetes.